There's no denying that Mary Quicke has a way with words. 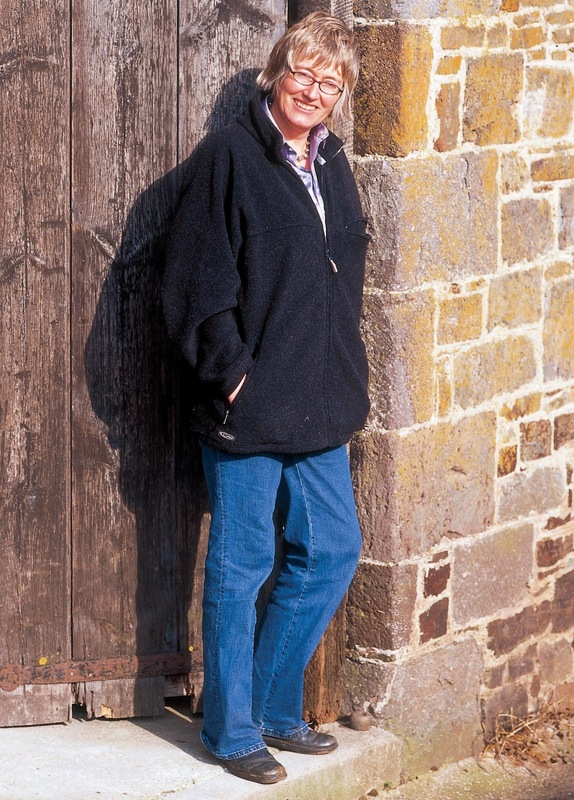 The transcript of my interview with the award-winning cheddar maker is punctuated with lovely turns of phrase as she goes into detail about the farm and her cheese. Then there is a mention of Tess of the d'Urbervilles as she explains women's role in cheesemaking, followed by a story about Slow Food, where a French acquaintance described her cheese as having a 'palier' (grand staircase) of flavours. The poetic language is not surprising when you discover that Quicke once studied for a PhD in English literature. That was while she was living in London, but her heart was always back on the family farm in Devon to where she returned in 1984, working alongside her parents Prue and Sir John Quicke and eventually taking over the business. The Quicke family has farmed near the village of Newton St. Cyres for 450 years, but the dairy was only built in 1973. By this stage Quicke's father was deep into agri-politics (for which he was knighted), so it was her mother that was actually the driving force behind the business, while somehow managing to raise six children at the same time. Today the 1,500 acre farm has a 500 strong herd of cows and produces around 300 tonnes of cheese each year, the vast majority of which is cloth-bound cheddar, both pasteurised and unpasteurised. 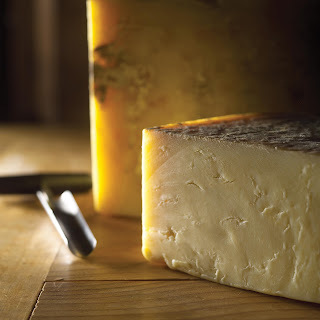 A mature Quickes cheddar has a creamy front, followed by some acidity, rich savoury flavours and caramel notes at the finish, she says. Achieving these layers of flavour depends on several factors. On the farm, Quickes rears cross-bred cows (Kiwi Friesian, Swedish Red and Montbeliarde) to get the required balance between fats and proteins in the milk. The cattle also graze on green Devon grass for around 10 months of the year, much longer than most dairy cows, which means the milk is rich in nutrients and complex flavours pretty much all year round. The cheese-making process is also obviously key to achieving complexity. Quickes cooks (scalds) the curds at a slightly higher temperature than most to achieve a creamy flavour and, like other farmhouse cheesemakers, uses a complicated blend of different cultures. 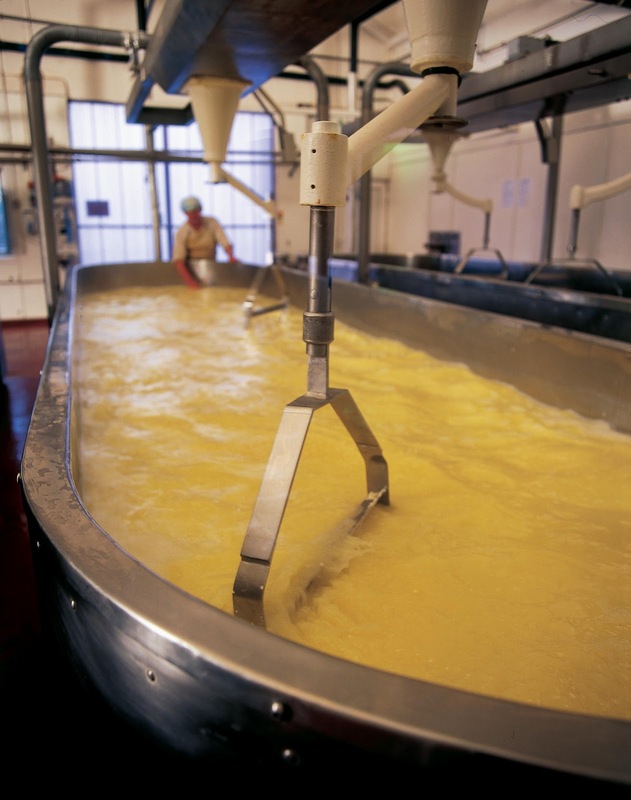 Known as 'starters', these are added to the milk at the beginning of the cheese making process. The cultures feed on lactose, creating lactic acid, which helps curdle the milk and flavour the resulting cheese. Despite these concerns, Quickes does actually supply the supermarkets, including Waitrose, Tesco, Sainsbury's and Morrisons. Around 20% of sales are to the multiples, with independents making up 54% and exports 26% of the business. Labelling will also have to change if Quickes ever becomes part of the EU's Protected Designation of Origin (PDO) scheme protecting West Country Farmhouse Cheddar. The company contributed its views when the PDO was set up in 1996, but eventually decided not to take part. Quicke has recently enquired about joining, but her cheese is made in a slightly different way to the rules of the PDO. It means the regulations would have to be amended, something that is under discussion at the moment. There's no way Quicke would change her recipe to meet the PDO. That might compromise the 'grand staircase' of flavours she has worked so hard for in her cheddar.